There is a lot to think about when the issue of retirement arises, and not least how best to use your pension, assuming you’ve been saving for one. This article will help you consider all the most important points you cannot afford to leave untouched. Few of us really start to think about retirement with any seriousness until we reach our fifties. However if you want to make the most of those years it makes sense to start thinking about them as early as possible. Of course our plans do change as we go through life. Things happen that we didn’t expect and we are not always best prepared to cope with various events. This holds true for financial changes as well as other life changes such as the loss of a job for example. This is why it makes sense to think about your retirement at different stages of your life. Start early and then review and revise your plans as necessary as you progress through life. Firstly you should think about the age you will retire at. While many people retire when their retirement age comes around, you don’t necessarily need to do this. Some people love what they do and keep on working, giving them the ability to enjoy more income at the same time. You need to think about whether you want to carry on full or part time when your retirement date arrives. Secondly you need to focus on paying into a pension scheme for as long as possible before you retire. The more years you have available to do this, the bigger your pension pot will be when you do retire. Of course it depends on how much you can put away into your pension every year as well, so do bear this in mind. The presence of auto enrolment pensions will ensure most people are better off financially upon retirement than they would otherwise have been. Relying on a state pension alone will make your finances very tight unless you have other means of support. Auto enrolment pensions should form one part of your retirement plans financially though, as you will see below. 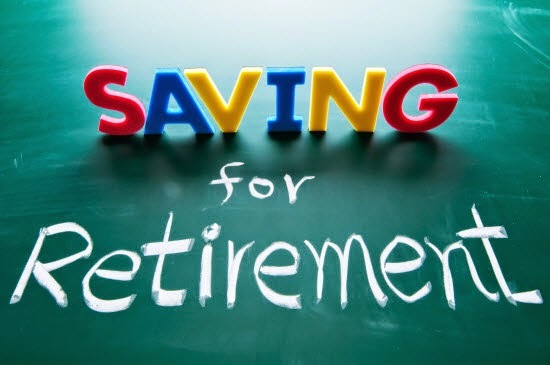 Finally you should consider your financial position as you approach your retirement age. As we go through life we tend to acquire debts and you will want to be rid of most if not all of these – ideally – by the time you stop working. Unless you are very fortunate your income will very likely drop when you retire, so it makes sense to reduce any outgoings you have as much as you can. With enough hard work and good financial planning there is no need to suffer financially in retirement. However it does pay to think ahead and be prepared as best you can. As you can see there is a lot to think about here, and it makes sense to consider every aspect of your life and your finances prior to retirement. We all want to achieve different things during retirement but in every case those hopes and dreams will be easier to achieve if you prepare for them. By focusing on these three areas you can look forward to a better and more financially sound retirement when the time comes to collect your gold watch – even if it is only referred to in a proverbial sense!